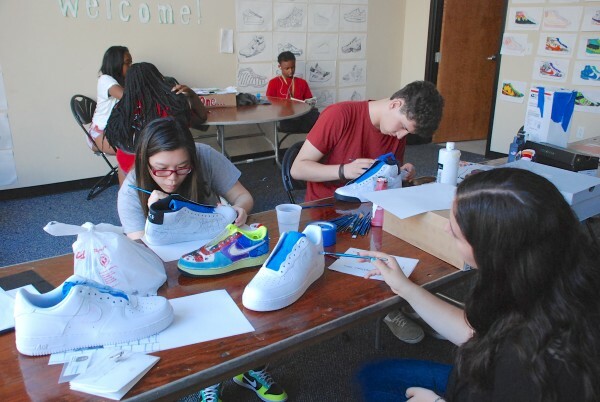 The Center for Arts-Inspired Learning’s ArtWorks is an arts-based job training and college readiness program for Northeast Ohio’s 10th, 11th, and 12th grade students. 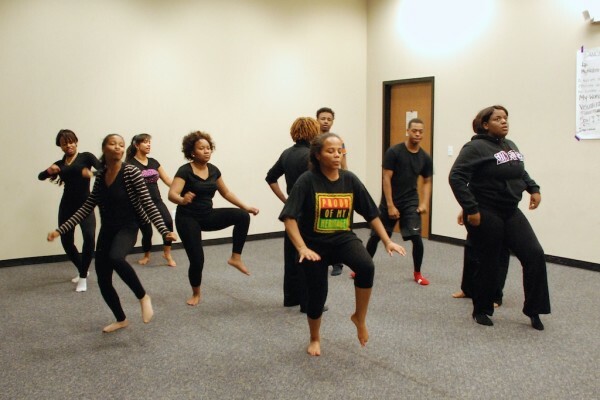 Students are enrolled as paid apprentices to train under the guidance of master teaching artists, who mentor them in an art form while teaching them 21st century skills. The apprenticeship experience allows students to develop time management, professional communication, problem solving, and critical thinking skills, which are transferable to any workplace or college. Students also participate in workshops that focus on financial literacy, resume writing, financial aid applications, and interview skills. Art opportunities range from year to year, but they include animation and game design, recording arts, filmmaking, slam poetry, fashion design, photography, theater, and visual arts. All apprentices will have the opportunity to perform and/or exhibit their work for the public, and will leave the program with a portfolio that can be used when applying to college. Afterschool Fall and Spring. Two days per week, from 4:30 – 7:30 PM at the Tri-C Metro Campus. 40 apprentices. Summer Five days per week for six weeks, six hours a day at either Cleveland Public Library or Tri-C Metro. 120+ apprentices. Founding patron Deborah Ratner and Executive Director Marsha Dobrzynski were the recipient’s of University Circle Inc.‘s 2008 Joseph D. Pigott Leadership Award for bringing ArtWorks to University Circle, involving several other cultural organizations, and making “an especially noteworthy contribution” to the area. The 2008 program also received a best practice honor from national Young Audiences at an all-chapter conference and Ms. Ratner was honored for her vision and annual commitment to realize the program. In November 2010, the Greater Cleveland Chapter of the Association of Fundraising Professionals honored Ms. Ratner with the Philanthropist Leadership award. In spring 2011, Marsha Dobrzynski was bestowed the Cleveland Arts Prize’s Martha Joseph Prize for her commitment to arts education in Northeast Ohio, and Center for Arts-Inspired Learning received the Ohio Association of NonProfit Organizations’ Excellence Award for ArtWorks programming. In December 2011, the organization received the Ohio Department of Youth Services’ Director’s Community Recognition Award in partnership with the Governor’s Council on Juvenile Justice and the Ohio Association of Juvenile Court Judges and Ms. Ratner was honored with MyCom’s 2011 Youth Voice Award for Civic Leadership from The Cleveland Foundation and Cuyahoga County’s Family and Children’s First Council. In January 2012, ArtWorks was named a finalist for “the coolest internship” award from the Northeast Ohio Council of Higher Education. Additional thanks to the many other individual donors of gifts less than $100 who helped make ArtWorks possible. The online application is now open for the 2019 – 2020 School Year. 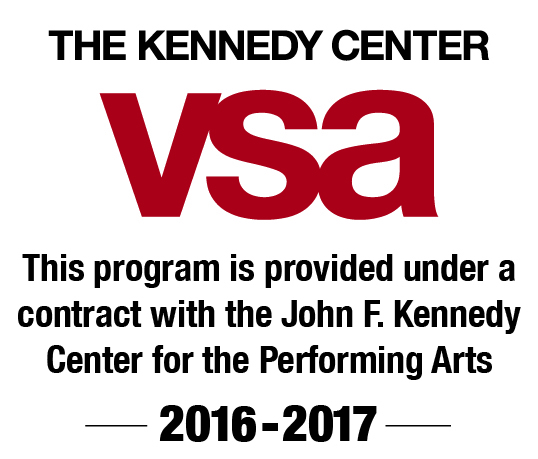 Apply now for the Summer, Fall or Spring Session. The Center for Arts-Inspired Learning is always looking to partner with innovative creatives with a desire to mentor and lead young professionals through our ArtWorks program. Interested in becoming a Master Teaching Artist? Download and complete our Request for Application form.